The Bermuda Basketball Association’s Winter League sponsored by ONE Communications continued with a double header of matches that resulted in 223 total points. In the opener the Warwick RimRockers defeated the Hamilton Parish Rockets 49 – 45. Ronald Bushner led the Warwick RimRockers with 24 points, 6 Rebounds, 2 Assists and 2 Steals, while Omar Wolfe scored 15 points for the Hamilton Parish Rockets, he would add 12 Rebounds and 1 Steal. 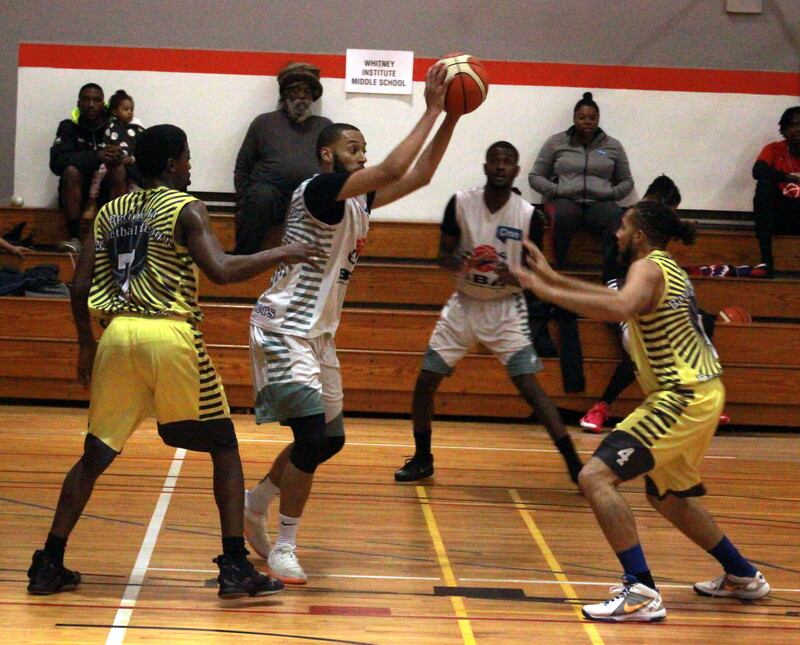 In the nightcap the Pembroke Skyforce defeated the Devonshire Chargers 77 – 62. Jericho Tucker would score a game high 39 points to lead the Pembroke Skyforce to victory, he would add 13 Rebounds, 1 Assist and 1 Blocked Shot, while Kevin Stephens scored 25 points for the Devonshire Chargers, he would also add 12 Rebounds, 4 Assists and 4 Steals.